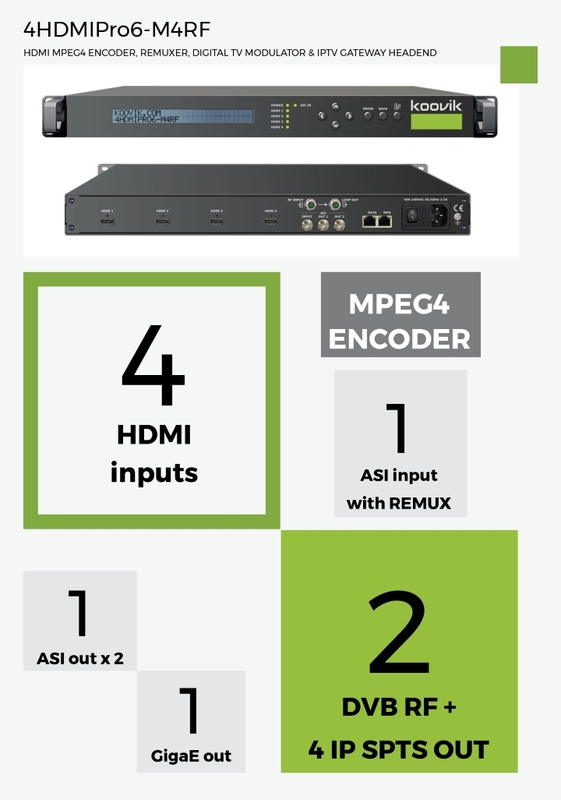 2 DVB-T or DVB-C RF MUXES, IP, and ASI outputs. multiplexer PID filtering and remapping. PSI/SI table generation, and edition.